Guesthouse Husky is located five kilometres from the centre of the Ivalo village. The recently built inn holds six pleasant rooms and the adjacent farm has 130 Alaskan huskies. 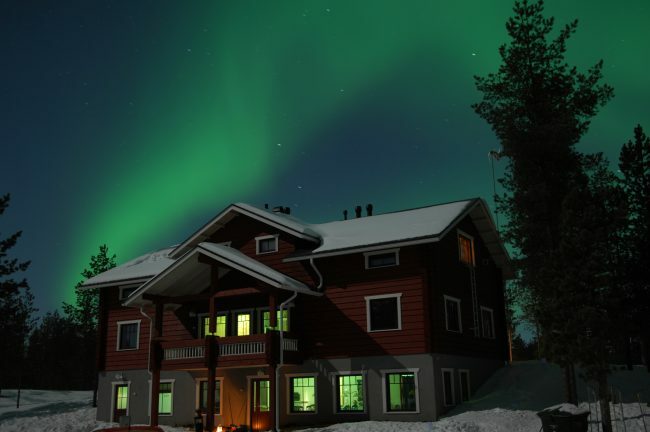 Guesthouse Husky provides guesthouse accommodation, meal services for residents, and husky sled rides. Do you want to conquer the frozen Inari Lake, enjoy its wide open space and the overwhelming silence of the wilderness? During these tours we stay overnight in our wilderness cabin on an island of Inari Lake. Driving distance to the wilderness cabin is ca. 50 km one way, so our guests are able to enjoy hours of mushing with our well-trained huskies. 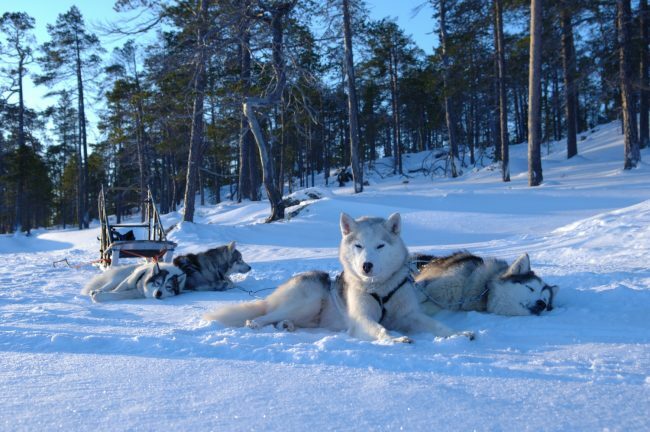 On overnight tours every guest has an own husky team. Please note that there might be changes in the route and program due to the weather, snow and ice conditions or due to other safety issues. Driving distances given are advisable, but might change if circumstances are difficult – huskies are eager runners, but they are not machines! In winter 2017 – 2018 we have several departures for both 2- and 3-day-tours which are now bookable. Please, ask for more information.